Today the conservation of wildlife is no longer a new subject and plastic mesh for cages is a product that goes hand in hand with projects to preserve protected species. It is actually something that is essential for the healthy development of society. We could say that Mexico’s asset of its natural environment makes it a unique country and very important for this natural patrimony is its high level of biodiversity. It is because of this biodiversity that Mexico is one of the world’s 17 megadiverse countries. The value of this wealth is incalculable, not only for the country itself, but also is of enormous importance for the preservation of the natural environment in the future. The plastic mesh for cages, CHICKENMALLA (2x200m or 6.5 ft X 220 yd), is an excellent option for the containment of small exotic species. 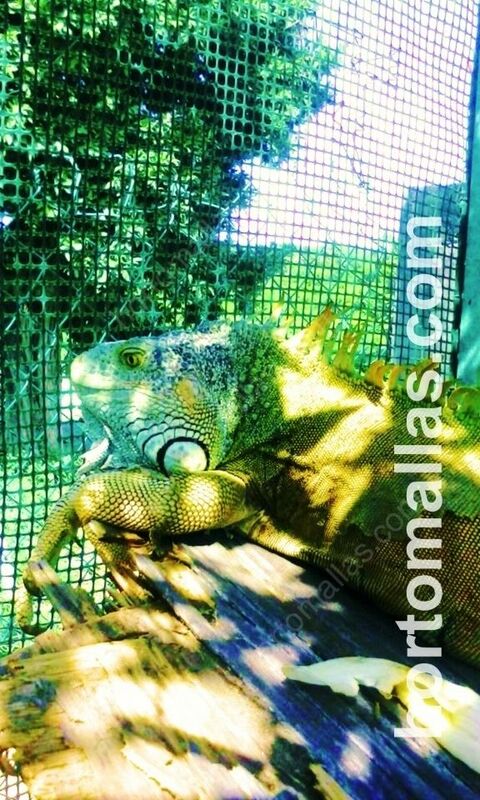 HORTOMALLAS manufactures plastic mesh for cages that gets used in the preservation of species to their benefit. We also have the advantage of being able to offer extruded netting of high quality at a good price. 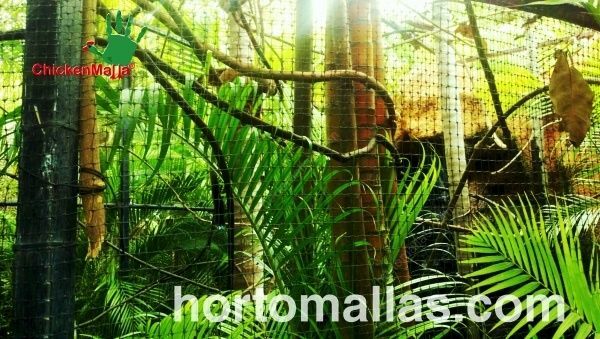 These nettings, among other uses, have been used for the containment and breeding of birds, reptiles, fish, and amphibians in conventional hatcheries, as well as in Management Units for the Conservation of Wildlife (UMA in Spanish). In Mexico, in the year 1997, the government created the National System of Management Units for the Conservation of Wildlife under the auspices of SEMARNAT (the Mexican government agency for the environment and natural resources). This system was created with the primary objective of generating a mechanism by which the country’s natural resources could be appropriated in a reasonable manner, offering rural communities an excellent development option. Some communities would otherwise have a difficult time securing economical resources in order to have quality life. With this system it has been possible to utilize the country’s resources in a sustainable manner–utilizing them while at the same time avoiding indiscriminate and uncontrolled extraction or hunting. Criadero de iguanas en Unidad de Conservación, UMA, con protección de jaulas hechas con malla extruida plástica. Irregardless of how complicated the economic situation of our country, HORTOMALLAS has been able to contribute to the development of the rural sector. Our low costs allow a lower level of investment in the wildlife and production management units. That is how we have contributed to these management units being more profitable and this opens the door to the possibility of the communities consequentially having greater economic development. 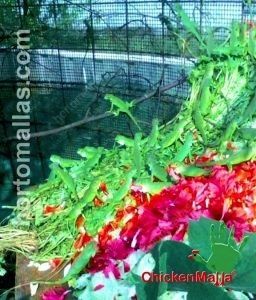 Iguana housing using plastic mesh for cages. 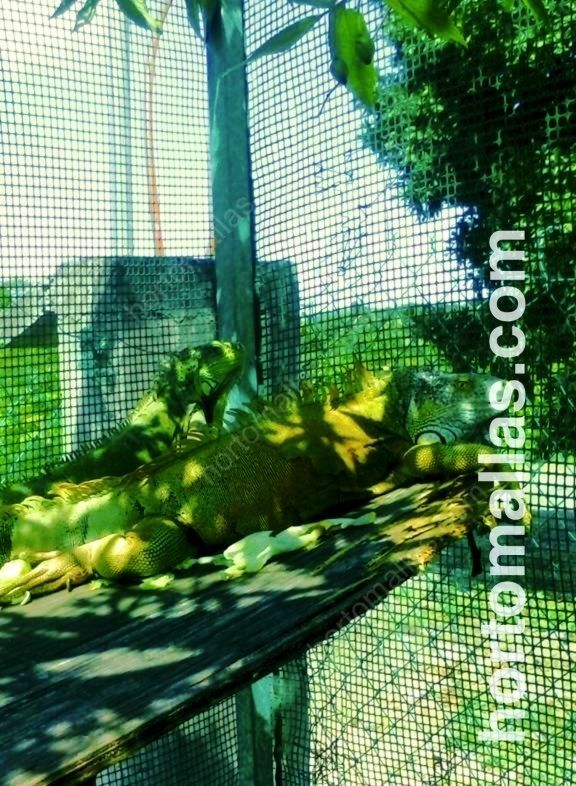 A Management Unit for the Conservation of Wildlife for iguanas protected by poly-hardware mesh. Among the primary activities to which UMAs dedicate themselves is the protection and sustainable utilization of natural resources. What stands out in this is the work of rescue, reproduction, exhibition, reintroduction, and investigation. This along with many other acts of preservation make it possible to both maintain and utilize species at the same time. It is important to shade parts of the cages housing these animals with shade cloth in order to protect them from stress and from dehydration.